No noticeable difference to air fuel mixture (AFM). I have a gauge showing AFM as I ride and it seems to be reading the same, but I need more driving to be sure. Hey Warwick,out of curiosity have you tried to adjust your air mixture screws since doing your cams. Wondering if you still have the difference as before or if they can be adjusted in a more balanced fashion ? Yes, I am almost the same adjustment for both air mixture screws, now that the cams are timed together. Just a 1/4 more turn for the rear cylinder to account for the bend in the rear manifold. a friend of mine is prepairing to optimize his ignition. He would like to correct the ignition timing of the rear cylinder also to improve the engine`s smoothness (which is only possible with some modification). Appearently the ignition timing of the rear cylinder is by 2° less advanced than the front cylinder to reduce thermal load. The pick up bracket seems to indicate this, too. The strange thing is that noone, incl. some Ducati mechanics seem to know about this. Anyone out there know something ? This is an interesting question. I was wondering about ignition timing. So far I have done the good improvements on the carb and cam timing. 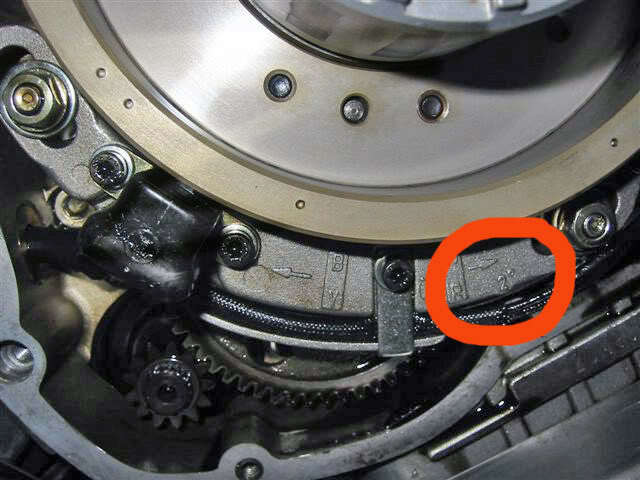 I understand that ignition timing is one of the other factors that should be adjusted right. What is this thermal load anyway, that they would want to fix it by retard ignition timing for the rear cylinder? Why would it be a mistake to be fixed? I have only heard of this being done on air cooled vee twins that do not get enough air over the rear cylinder to cool it. Is there some one out there with more info? It`s not a mistake that has to be fixed. The engine should run smoother when removing this though. The question is how much thermal load will change. Some random thoughts: if the timing is not set correctly the rear cylinder may be more than 2° off. Causing the engine to run rough. Some guys report that the engine runs better when the carbs are not perfectly synchronized but adjusted slightly towards the rear cylinder. A friend measured the degree marks on the flywheel and they are accurate. Hence due to one pickup being 2° off the marks on pick-ups and flywheel don`t perfectly match. Only one mark can. So how do shops adjust the pick up (bracket) ? Considering that noone asked knew about this they probably set the pickup bracket to the "middle" meaning they try to match front and rear marks which in the end causes both cylinders to be more off correct timing. Btw anyone used a TDC finder to precisely measure if the TDC marks are accurate ? Engineer friend did this on a DB2. TDC mark was just 1-2 degrees off. VALVES MAY MAKE CONTACT WITH THE STOP. This is specially the case if larger valves are installed or cams with increased lift or like in my case both.